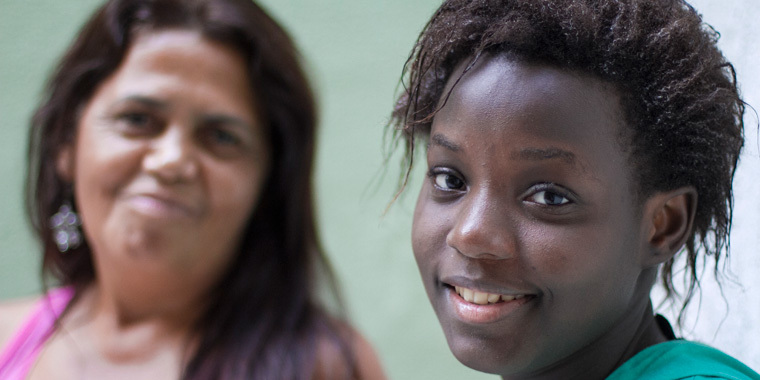 In Brazil, many young people struggle to find decent work after leaving school. YouthCan! aims to give young people the skills and experience they need to start their careers through vocational training programs. In Brazil, many young people struggle to find decent work after leaving school. Youth employability particularly affects young people without parental care or who are at risk of losing it, as they often lack the resources, networks and opportunities that their peers may have. As youth employability is a global challenge, taking action also requires a global approach. In 2017 SOS Children’s Villages launched the YouthCan! initiative, together with corporate partners. This initiative boosts access to training, mentoring and professional development opportunities, giving young people from disadvantaged backgrounds the chance to kick-start their careers by gaining skills and experience that are crucial to finding decent work. Kennedy Santos Souza, aged 22, is a developer with the international bank Santander. He credits GoTeach – an employability program by Deutsche Post DHL, part of the global YouthCan! initiative – with motivating him to dream bigger. “GoTeach made me dream higher, and I keep dreaming high even after finishing the program,” he says. One key part of this initiative is the involvement of employees of the corporate partners who volunteer their time and often act as mentors to the young people. These employees can share their own experiences and advice about challenges they faced earlier in their careers, as well as be a sounding board and role model. In Brazil, employees from Deutsche Post DHL, AkzoNobel and thyssenkrupp Elevator have seized the chance to become mentors and support young people.